During my early teens I never really suffered from bad skin, I had the odd blemish here and there but nothing extreme. For the past few years I have suffered from very bad breakouts and I could not understand why. I keep my skin clean by washing my face every morning and night, I have a healthy diet eating fruit and vegetables every day, I exercise frequently, I have never smoked and I never drink alcohol and drink litres of water. I could not figure out what I had changed that made my skin get so bad. I have tried near enough every anti-blemish face wash, cleaner, exfoliator, cream, serum and gel going and I felt like nothing was working. I have tried a variety of face masks, ones including Lush, Clinique and Murad, that have helped a great deal but still couldn't get my skin back to good condition. I came to terms with the fact that my skin may never be back to how it used to be and I'm okay with that. I know I'm not the only one who suffers with bad skin and it's not something that I should be ashamed to have. Thinking that my skin couldn't get any worse I thought I would invest in a facial cleansing brush. I looked into purchasing a number of brushes but found they were quite out of my price range. 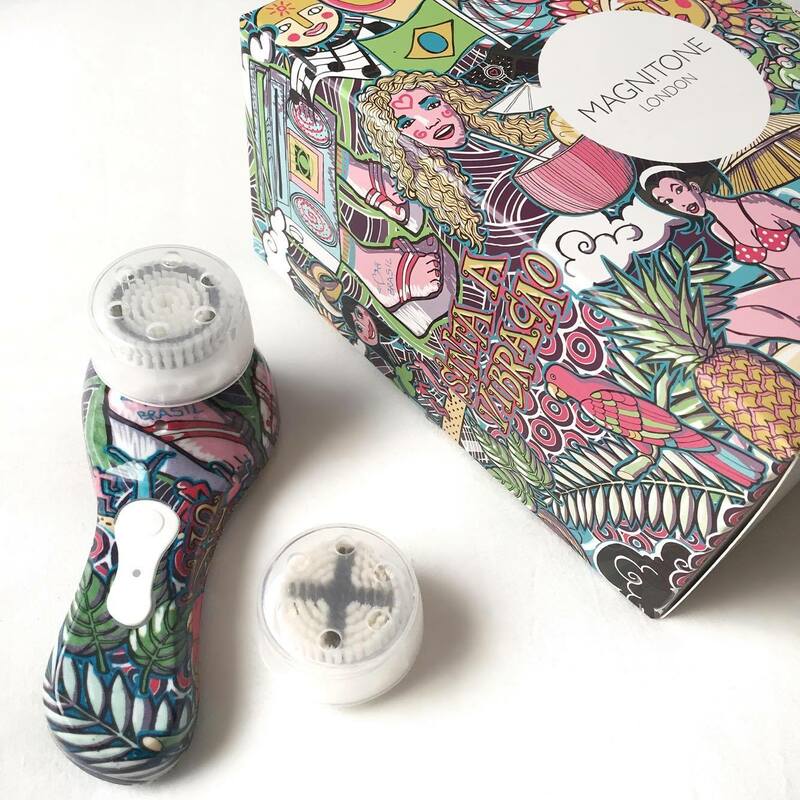 Luckily, I found a Magnitone London Bare Face Vibra-Sonic Brush (Summer Edition '16) on sale at www.lookfantastic.com when there was a limited time 20% student discount. The brush was originally £70 but I managed to get it for £39.20 (bargain). In the box came the waterproof vibra-sonic cleaning brush that has two modes, two brush heads, a wireless USB travel charger, a splash proof travel pouch, a 12 month warranty (if you register this you get £5 off your next purchase so bonus) and a magnitude membership. 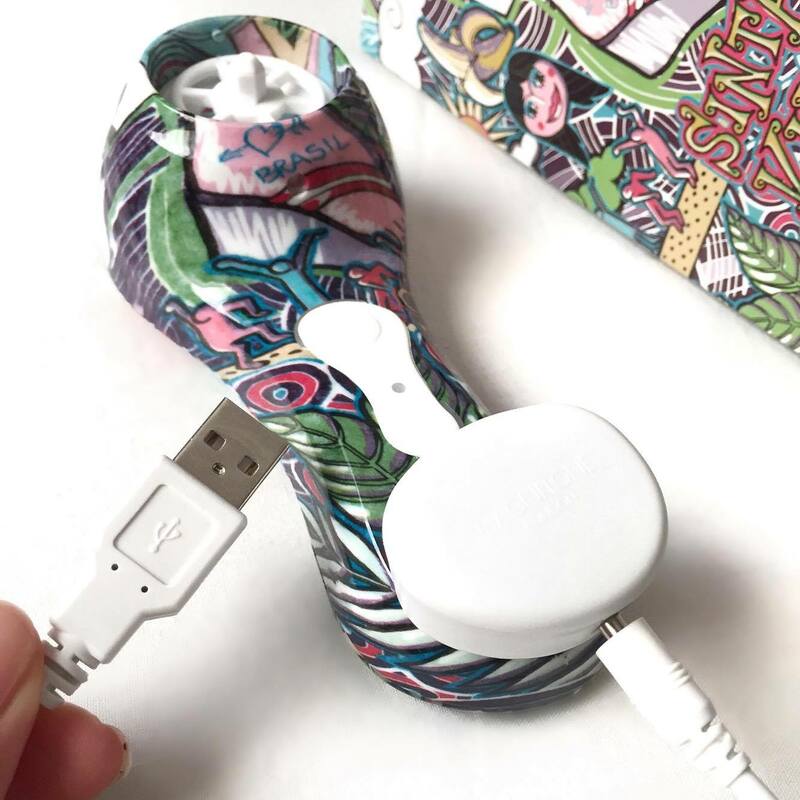 The charger attaches magnetically to the bottom of the brush with a USB cable to charge it. You could charge the brush on a computer but I have plugged the USB into the plug off my iPhone charger as I found it easier than charging it when I was on my laptop. I charged my brush when it arrived and I've now had it just over three weeks and I haven't had to charge it since. 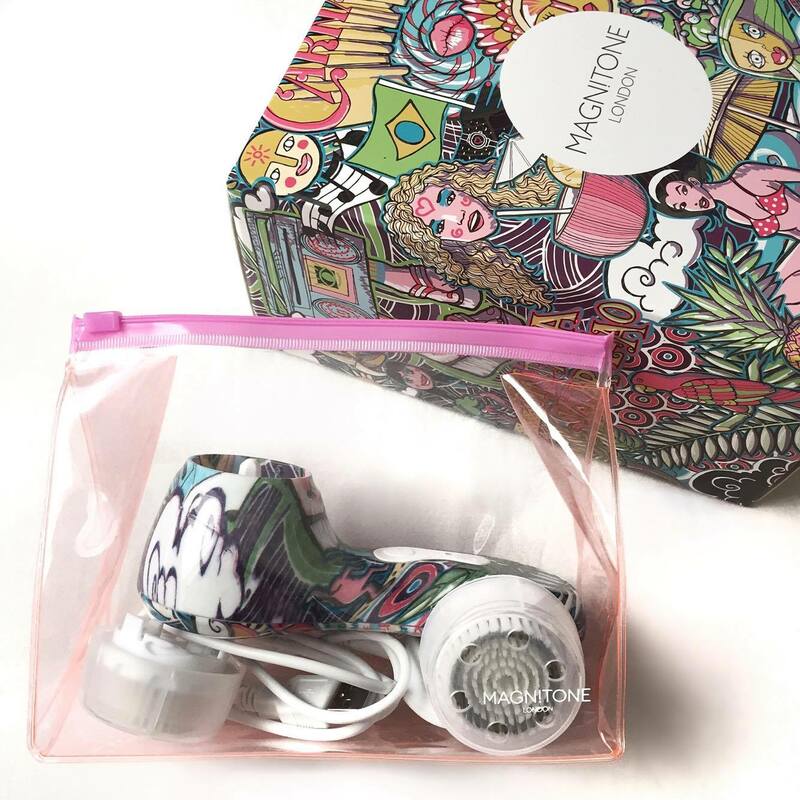 The brush has a one minute timer with three 20 second intervals to clean your t-zone, cheeks and your neck. It cleans skin deeper than washing your face with your hands, it exfoliates the dead skin cells away, removes dirt and impurities out of your pores which eliminates excess oil. The PulseLift toning mode boosts micro-circulation which gives you plump and healthy glowing skin. There are two brush heads to alternate between. The 'Active Clean' brush head (for normal/combination skin) which has softer bristles to use for every day cleansing and to remove make-up. 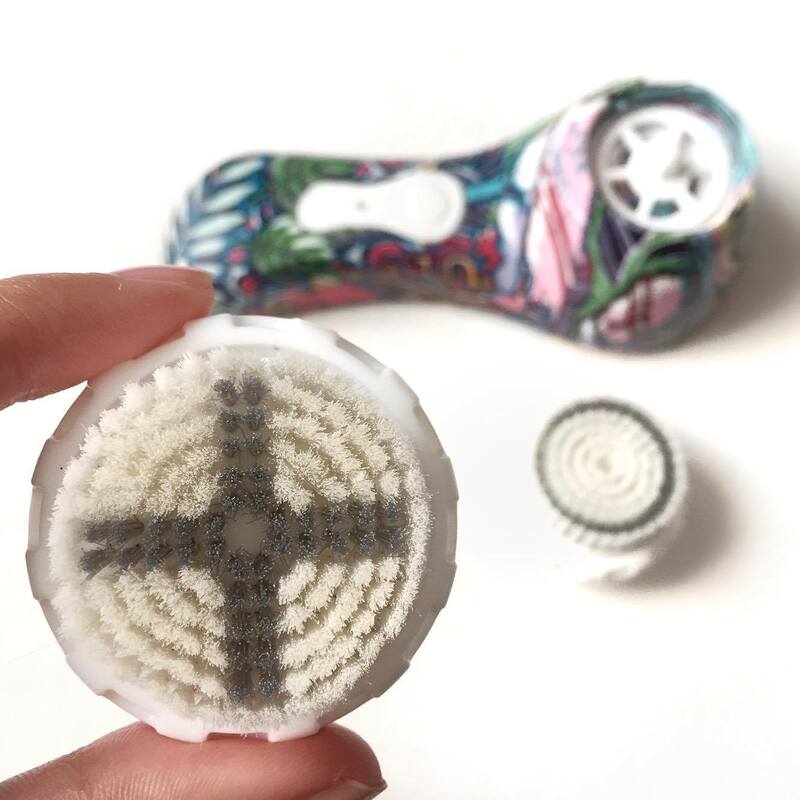 Then there is the 'Pore Perfection' brush head (for oily/breakout prone skin) which has been designed to have a deeper cleanse to remove excess oils and clogged pores which may become congested. I have combination to oily skin and I use the Active Clean brush every morning and every night. 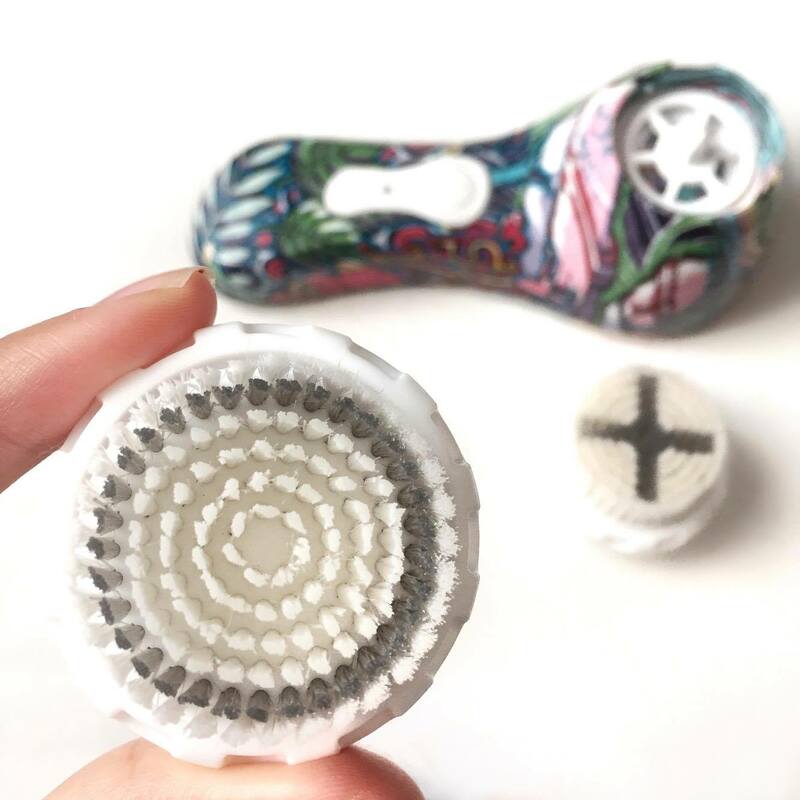 I find that even though I am prone to breakouts, the Pore Perfection brush can be a bit too harsh on my skin (even though it is not sensitive) so I use it once or twice a week and at night time so my skin has time to regenerate and calm down. There are other brush types and brush heads available to buy that may be more suitable for your skin type. I personally bought this brush because I found that the brush type was more suited to my skin but everyones skin is different. When I started using the brush my skin did have a stage of bad breakouts and I worried it wasn't helping my skin at all. I read in the manual that skin can breakout in the first week of using it due to the fact that your skin is not used to being cleansed that deeply so I stuck it out and I don't think I've ever been so happy with my skin in the last few years. Although scarring from my breakouts is still there, my skin is smooth and clean and I have had very few new forming blemishes since. I have been using the same skincare products for around 6 months, however they became more effective when I started using the cleansing brush. 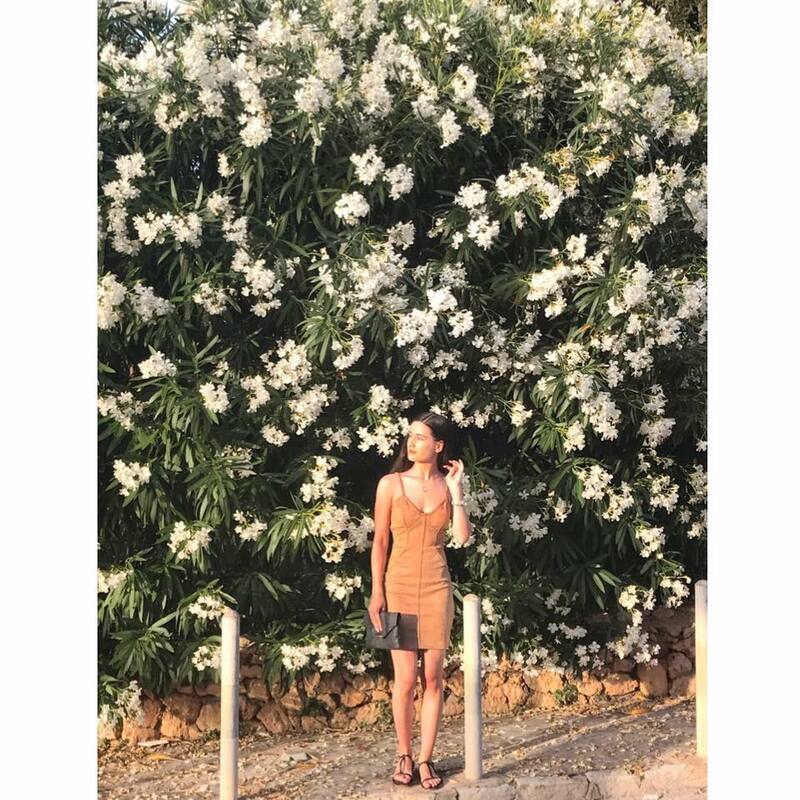 I found that as my skin was deeply clean and the dirt had been removed, products could absorb better and were not just sitting on the skin and piling on existing products that may have been clogged in the pores. Overall, I've not been this happy with my skin in a long while and I would highly recommend to buy a cleansing brush if you feel like nothing else is or has worked for you. I would advise you to do research into different brushes and brush heads to find the one most suitable for you before rushing into buying one! Have you suffered from bad skin? What skincare works best for you?